Siemens Corp., a global energy and technology leader, and three DOE national laboratories are teaming up to conduct integrated experiments within their respective research and development facilities to test and validate novel software and hardware technologies needed to strengthen and modernize the nation’s electric grid. According to TOP500.org’s Nov. 2018 rankings, five of the top ten HPC systems in the world support advanced research at DOE. At the number one position, “Summit” system housed at ORNL offers theoretical peak performance above 200,000 teraflops with the underlying support of 2,397,824 processor cores. That benchmark represents a stunning achievement. State environmental officials asked TN Gov. Bill Lee for more funding to repair and upgrade municipal water and sewer infrastructure. At a budget hearing, TDEC Commissioner David Salyers requested a nearly 50% increase in the amount the state loans to local utilities. Small towns across Tenn. struggle to maintain their aging drinking water and wastewater systems. EM and cleanup contractor, UCOR, is demolishing the portals that once controlled access to the former Oak Ridge Gaseous Diffusion Plant — literally and symbolically removing the barriers to the site’s future state. The demolition of these portals represents another major step toward EM’s vision for ETTP. 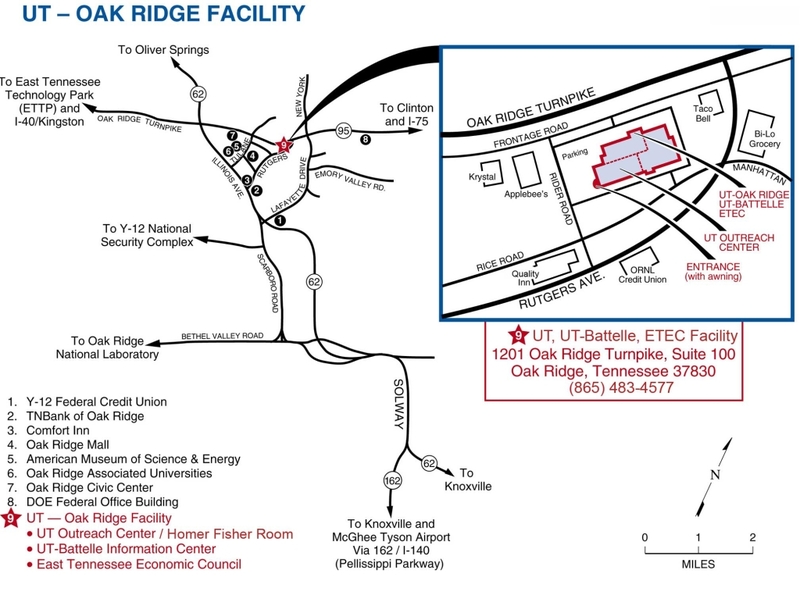 North Wind Solutions, which operates EM Oak Ridge’s Transuranic Waste Processing Center, earned nearly $383,000, or 97% of the available fee for the performance evaluation period of Oct. 27, 2017 through Oct. 26, 2018. OREM gave North Wind a “high confidence” rating for its cost and schedule performance. DOE announced the award of a cost-plus-fixed-fee task order under the Indefinite Delivery/Indefinite Quantity contract for the DOE EM Test Bed Initiative for Offsite Treatment and Disposal of Hanford Low Activity to Waste. The contract was awarded to Aerostar Perma-Fix TRU Services, LLC (APT Services, LLC), located in Oak Ridge, TN. ETEC's website has a new look. Check it out at www.eteconline.org.